Barbara is a San Diego resident of over twenty-five years. She raised her family here and spends much of her time exploring neighborhoods and acreage throughout the County. Barbara's world experience includes both work and leisure abroad in Europe, North America, and South America. Barbara holds a Ph.D. and, after retiring from a productive career as a scientist for the National Oceanic and Atmospheric Administration (NOAA), she has turned her focus to real estate. 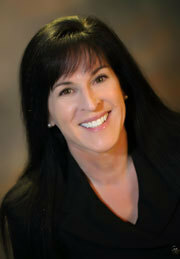 She is delighted to be affiliated with the quality, excellence, and integrity of Coastal Premier Properties. Skilled in market research and data analysis with a keen eye for details, Barbara's consulting experience has also allowed her to become an excellent negotiator - attributes that translate to success for her real estate clients. She is committed to providing excellent service to suit your needs. "Barbara's warmth and enthusiasm make her a pleasure to work with," says Co-Owner Amy Green. "We are excited that Barbara is a part of the Coastal Premier team!" adds Co-Owner Susan Meyers-Pyke.